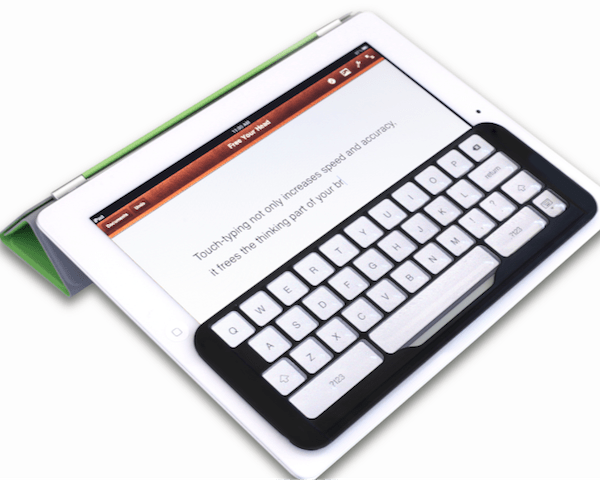 For those of you that aren’t familiar with this item, it’s a iPad keyboard that clips over the top of your pad giving you the feel of a proper keyboard that you can actually touch type on. Buttons are cut out of the moulded plastic ensuring that the space between the keys is covered so you can touch type without straying or touching the other keys. In other words it lets you type more effectively instead of doing the hunt and peck system inherent with on screen keyboards. Updated. iKeyboard arrived as promised but failed to deliver a better typing experience. Previous Previous post: Why does iMessage and Text messages appear in separate conversations.